Looking for a top web designing company in Chandigarh? 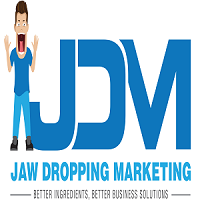 Visit Jaw Dropping Marketing. We have been in business for more than 6 years, and worked with over 200 international clients, helping them grow in their respective industries. We provide exceptional, affordable digital marketing services—search engine optimization, email marketing, product branding, pay per click services, website designing & development, and social media marketing. At JDM, we have SEO experts who are committed to providing high-quality digital marketing services. No matter what industry you belong to and what your business objectives are, our digital marketing professionals will help you increase your sales and stay ahead in the competition.